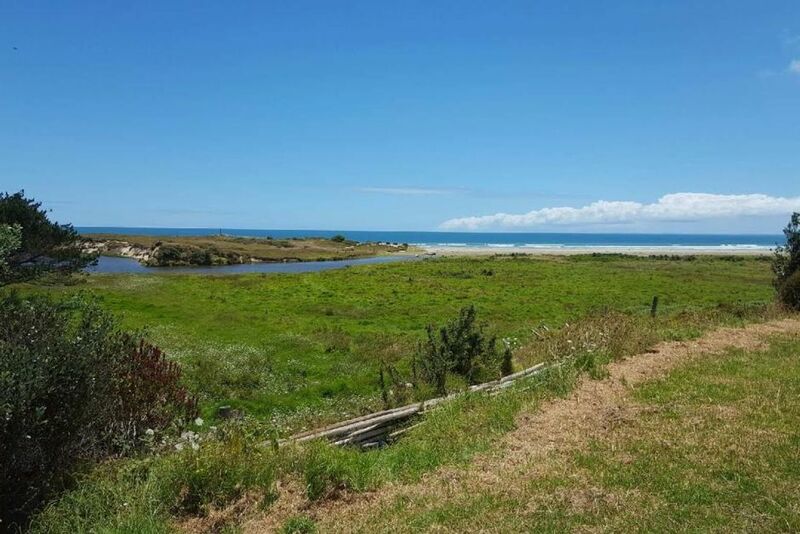 Looking for a get-a-away in popular Ahipara, only a short drive from famous shipwreck bay with great surf and sand dunes to slide down! Cute 2-bed cottage at the end of cul-de-sac with large flat section. Bring your bikes, boat, surf boards and enjoy beautiful 90-mile beach as your playground. Section borders reserve, overlooks creek and beach. Fantastic cafe and bar or fish and chips only a short walk away, as well as corner store for your grocery needs. Section is not fully fenced, will consider requests for pets. Soo close to the beach - loved it!! Ideal for what we were there for. Our stay was comfortable, clean an warm with sea views, close to the local shops. Lots of lawn space for our kids to run around on. We recommend this place for a weekend or even longer stay. Truly awesome and grateful guests - very nice and left our bach perfect! Idyllic little getaway in paradise, oh boy what a beautiful little place to stay. This bach has all you need just to turn up with your groceries and stay, all linen-bedding, towels, cutlery, pots + pans everything. And only 10 minutes walk to the beautiful 90 mile beach. There is also a little adventure shop where you can rent quads to take up the beach and rent pretty much anything activity wise to do with the beach or surf. Lovely place to stay would definitely visit again, Thanks very much Karen + Lorna. Staying at the holiday home was fantastic. Really comfortable for the 4 of us. Thank you for sharing it with us. Very comfortable and great location. A nice place to stay, we'll be back. Great place with beautiful ocean and sun set views close to beach and shops. Thank you so much for allowing us to take our dog Etta. She loved it too. Highly recommended.